As part of their Halloween event, which we covered oh-so-efficiently here, the cutieverse introduced bone dragons. These are very strong and scary-looking cuties that are super difficult to get. However, some more Frankensteiny cutieneers thought of breeding two of those super coveted dragons together, because of course that’s what somebody from the human race would do. This led to a discovery that altered the cutieverse forever. These sharp cutieneers were greeted by a mutant cutie, much more… different than anything they had ever seen. Seriously? Did these people even see Jurassic Park? How can you think this is a good idea?! Gameunculus knows what’s going through your head. You’re torn between cuddling it or killing it with fire, right? That’s normal. If you are a fan of CryptoKitties because of the cute furballs that you collected, you are more likely disappointed as the cutieverse gets infested with robots, tentacles and dragons. But the times of grief are over, as they have announced the arrival of an exclusive Enjin Wallet Cutie, based on none other than the ever-adorable fennec fox. This should not come as a surprise, as this is not the first time that the game devs release exclusive Cuties to celebrate a specific partnership (you can see them in this press release). 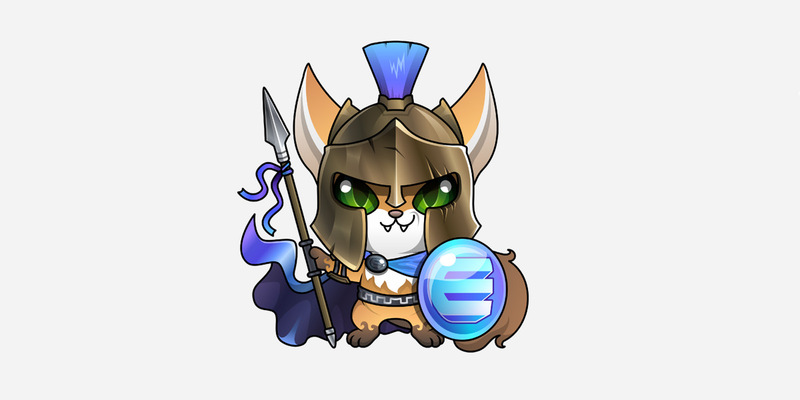 This time around, Blockchain Cuties are celebrating their partnership with the Enjin Wallet, and they are doing so by releasing a Cutie inspired by fennec foxes and dressed as a spartan soldier, as if the fennec fox part wasn’t enough. Just imagine what would happen if people start breeding this new Enjin Wallet Cutie with the Mystic Cuties. Oh my god, what would happen? And what if I breed two Mystic cuties together? Or two fennec foxes! OH MY GOD! WHERE DOES IT END?! Ahem. No further details about obtaining the Enjin Wallet Cutie have been provided. Stay tuned to the Gameunculus blog for any updates.